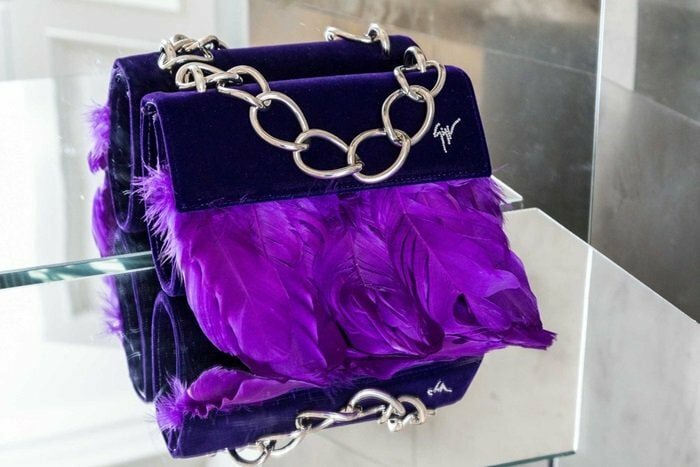 These plexi and black suede sandals from Giuseppe Zanotti with violet feathers and crystals just came in the door at Zappos and Saks Fifth Avenue. How would you style them? 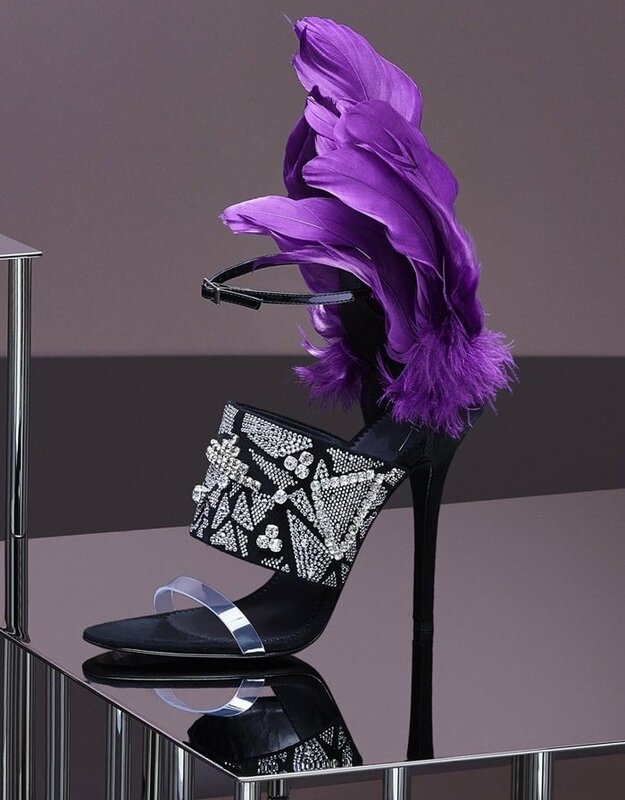 These black feather, leather and suede shoes feature an open toe, a strappy design, an ankle strap with a side buckle fastening, a mix of stone embellishments, a high stiletto heel, a branded insole, and a feather-appliqué on the back. 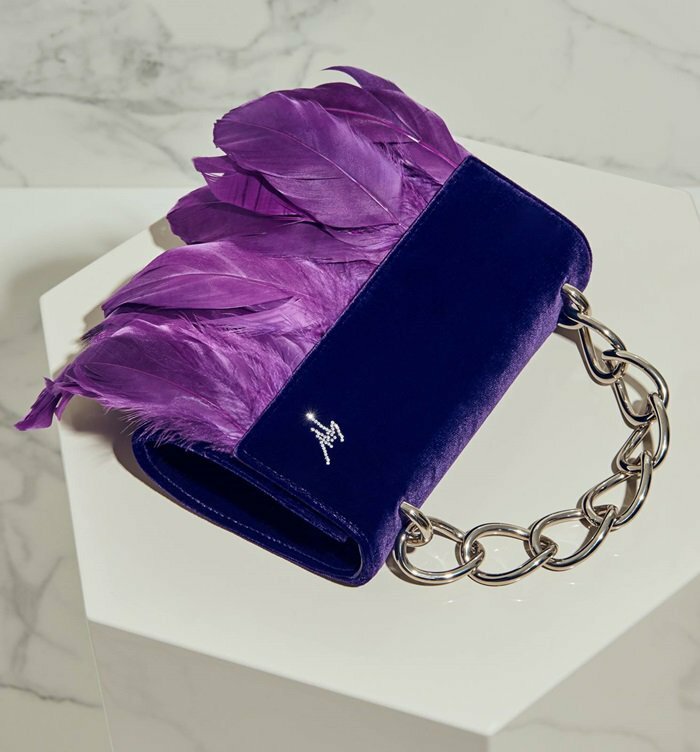 We also like the matching violet velvet clutch with feathers. 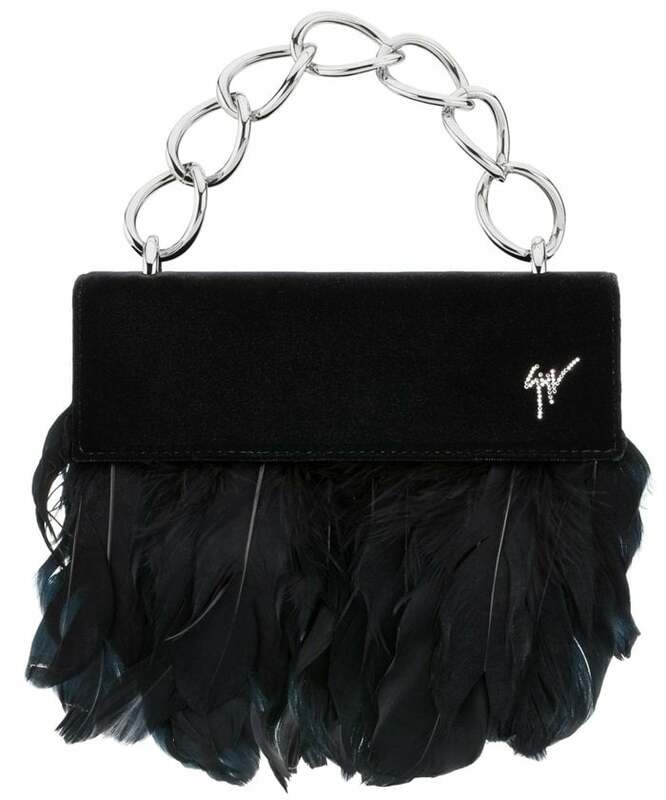 It’s also available in black.